Common Nighthawk season in my area of the Pacific Northwest kicks off in June, indicating summer is upon us and it's time to head to higher elevations to cool off. It could also be code for mountain wildflower season and I will tell you right now, there are more wildflowers than birds in this post. Skip it if you can't handle the awesomeness. 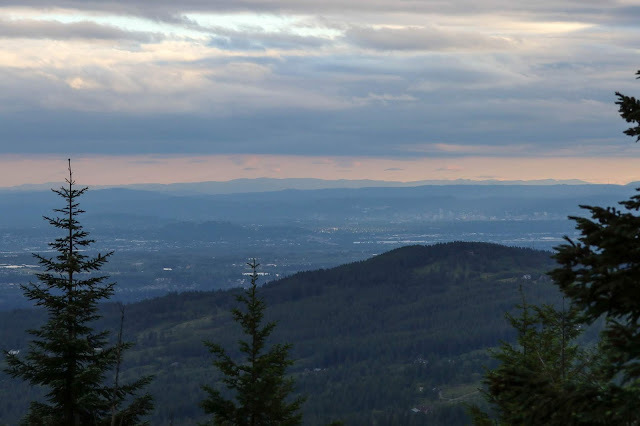 Friday night Jacob and I went up to the Clark County Larch Mountain to do some birding, wildflowering, and hopefully find nighthawks. We quickly found Jacob's county MacGillivray's Warbler but it was too quick for a photo. Tough-leafed irises were incredibly common. I can't remember ever seeing so many up there, it was impressive. A patch of penstemon was attracting all kinds of insects. While I was visiting my family I made one early solo birding trip to Crane Wildlife Management Area in hopes of finding some different kinds of birds. The internet describes the area better than I could: "Crane WMA is largely flat, with dry, sandy soil. 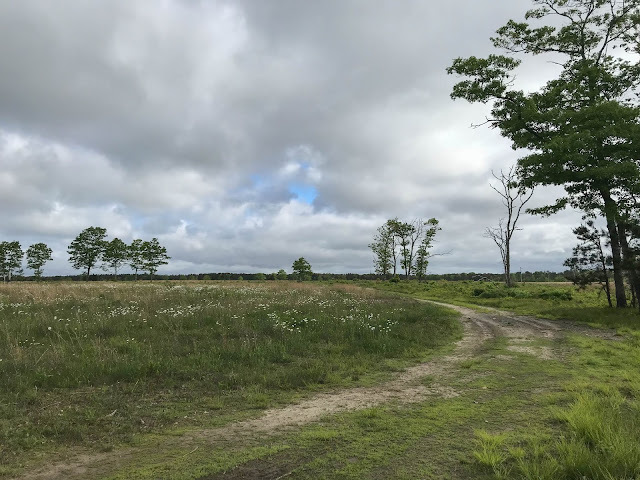 Habitats include forested uplands, pitch pine/scrub oak barrens, sandplain grasslands, scattered wetlands, and small forest openings and fields that were once used for vegetable farming and pasturing livestock." One of the big attractions here is also the most conspicuous: Grasshopper Sparrows. They were all over, singing from any perch they could find. Eastern Meadowlarks were also around and I did not remember them making such weird sounds. In the forested area I found more cool stuff. I made a loop back around to the open area where a couple of combos happened.